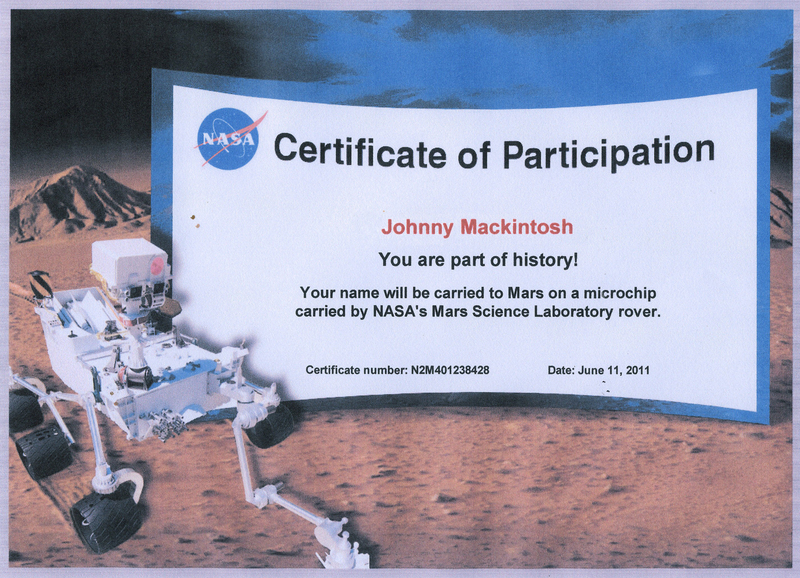 This morning at 6.31 am (British Summer Time), Johnny and Clara Mackintosh (and their Old English sheepdog, Bentley) made history: thanks to NASA and its Mars Curiosity rover, they became the first literary heroes to literally land on another world. And all broadcast live in Times Square – wow! I confess I’m delighted to say “Keith Mansfield” was also included. Some great fictional stories have been set on Mars, but the paper or celluloid that tells them remains firmly grounded here on our island Earth. John Carter may have disappointed in cinemas lately, but Edgar Rice Burroughs’ series of “Barsoom” books are classics. A film that brought the red planet properly to life saw the now-Governator of California star as Doug Quaid in Dutch director Paul Verhoeven’s 1990 masterpiece, Total Recall. Why anyone feels the need to remake a movie that was originally so stunning is a mystery, but I’ll reserve judgement until I’ve seen Len Wiseman’s remake. As a child I grew up reading the late, great Ray Bradbury, whose thoughtful Martian Chronicles helped inspire the stories I’ve written. 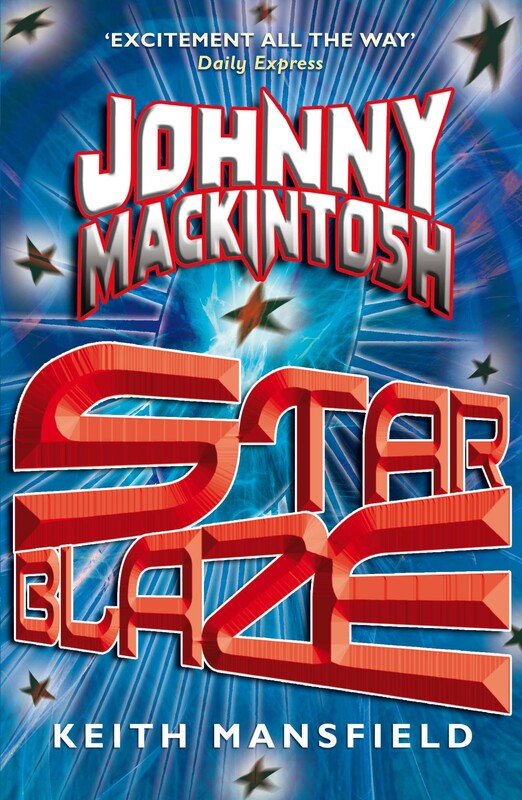 In the first two Johnny Mackintosh books there are mentions of Mars and Johnny and Clara always intend to go there, yet somehow they never quite get round to it. In Battle for Earth they finally make the trip (I won’t spoil it for future readers by saying whether or not they find Martians). David Bowie famously sang “Is there life on Mars?” and in a fun Doctor Who tribute, Steven Moffat christened the first fictional human settlement “Bowie Base One”. 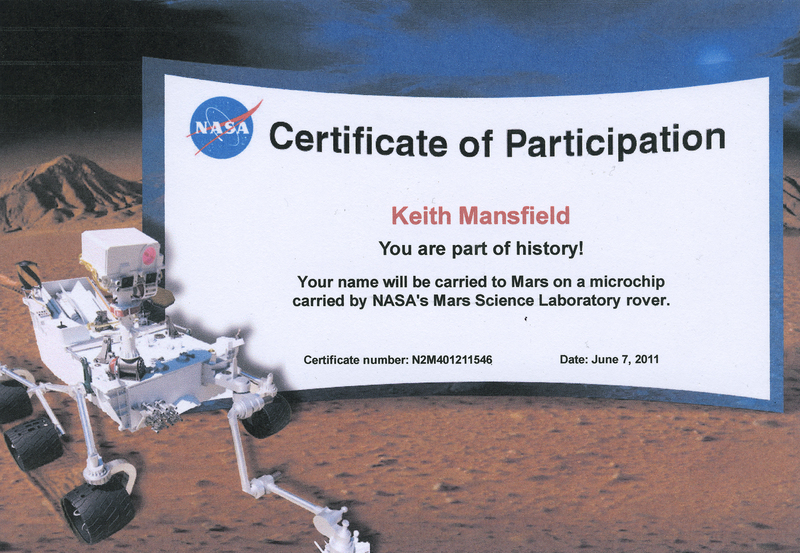 I’ve written a few pieces on whether or not there’s life of some kind on the red planet over at my Keith Mansfield website. Of course the “giant face” is no more than an optical illusion, but sometimes you can’t let details like that get in the way of a good story. I first came across the pyramids through Carl Sagan’s Cosmos and these don’t only feature in Johnny Mackintosh – Total Recall also centred around the mysterious “pyramid mine”. Nowadays we know a huge amount about this near neighbour, not least because there are actually three satellites in permanent orbit around the red planet. In the 1970s we sent the twin Viking landers to search for life (you can see a third in the Smithsonain Air and Space Museum in Washington DC). These tantalized, but also frustrated. Given the track record of previous Mars missions, this one played it relatively safe so the spacecraft set down in what proved rather dull areas – and that’s where they remained. The great thing about Curiosity is that it’s mobile. 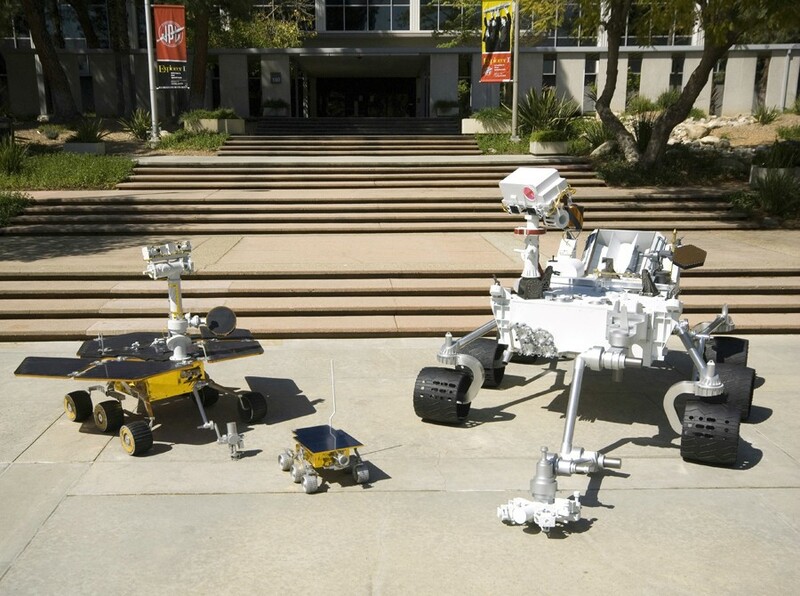 We’ve come a long way in a short space of time with Mars rovers. The first was Sojourner, a little add on to the Pathfinder mission that landed in 1997. It was the size of a remote-controlled child’s toy and could only travel a few metres from the main landing station, getting up close and personal with a few interesting nearby rocks. 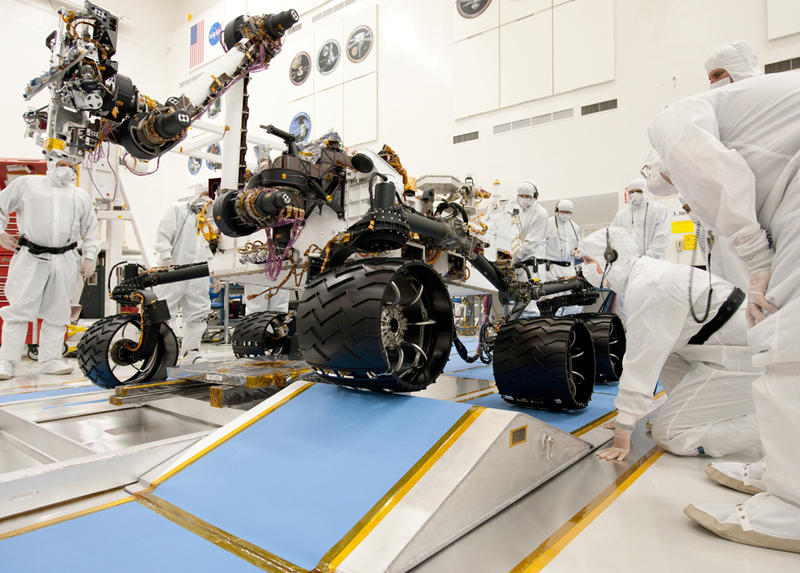 Sojourner started the ball rolling, and the momentum was magnificently maintained by another pair of twin landers, the Mars Exploration Rovers Spirit and Opportunity, which set down early in 2004. Larger, more independent and mobile, it was hoped these two would function for around 90 days. Spirit lasted fully five years, becoming immobile on 2009 and finally ceasing communication in 2010. Opportunity is still going! 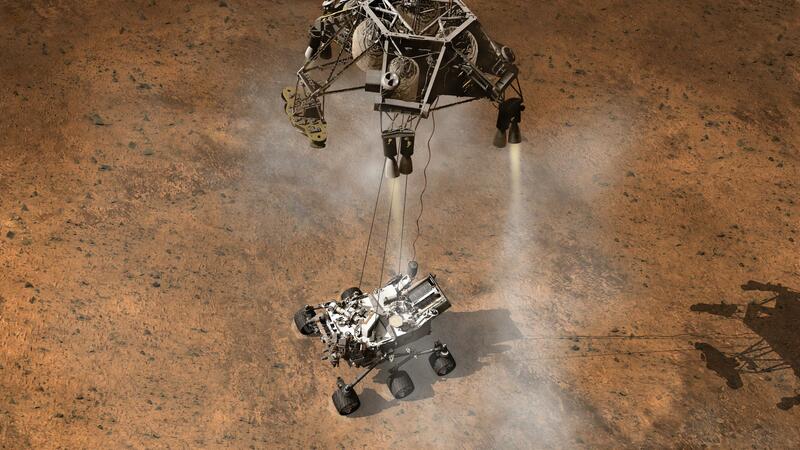 These two have shown that we are more than capable, not just of landing on Mars, but traversing its surface. Curiosity is in a different league altogether. Weighing nearly a tonne, it’s around the size of a small car. It doesn’t move quite as fast, travelling at what’s almost literally a snail’s pace, but wherever it goes, Johnny, Clara and Bentley will go with it. I hope they and I are able to move across the surface of this faraway world for many years to come. Buy the first book in the series, Johnny Mackintosh and the Spirit of London. Buy the third book in the series, Johnny Mackintosh: Battle for Earth in which Johnny and Clara visit Mars.